One day late last year, an advance copy of Todd Richards’s cookbook arrived in the mail at the chef’s home. 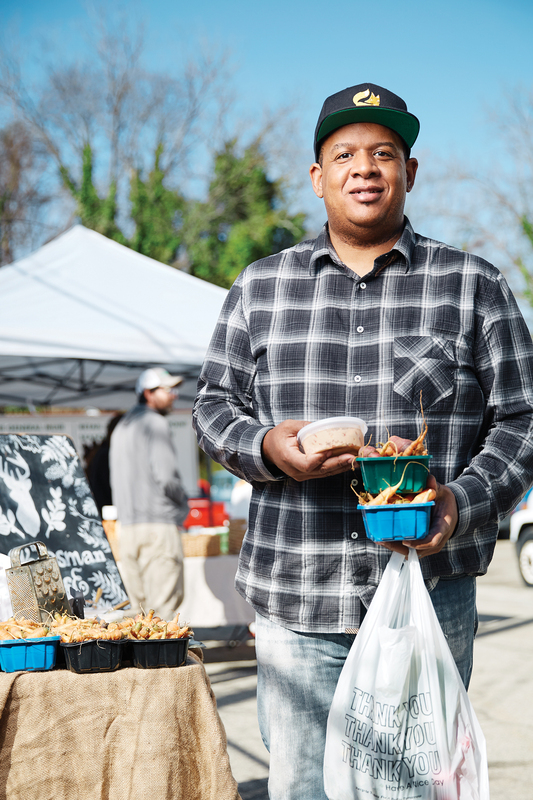 When he saw it for the first time—from the dewy collard greens on the cover to his mother’s fried catfish recipe inside—he knew his family’s legacy had been sealed. Richards first came to Atlanta in 1992. He was just 20, chasing a career in the music business. What he found instead was a job in a Kroger meat department. From there, he got a line cook gig at the Blue Ribbon Grill across the street. Its chef later recommended him to Darryl Evans, executive chef of the Four Seasons Hotel in Atlanta. Evans not only taught Richards techniques such as frenching the bones of a rack of lamb (“It gave me insight that people eat with their eyes first,” Richards says) but also inspired him to apply those techniques to the food he grew up with—the food that defined him. The image stayed with Richards during stints at restaurants in West Palm Beach and Louisville. And it stayed with him after his eventual return to Atlanta, where he became executive chef of The Ritz-Carlton Buckhead, The Shed at Glenwood, The Pig & The Pearl, and White Oak Kitchen; went on to open Richards’ Fried Chicken in Krog Street Market and be named culinary director of Jackmont Hospitality (heading up One Flew South and Chicken + Beer); and earned two James Beard Award nominations. Richards’s restaurants have served as both inspiration and incubator to up-and-coming chefs; Christian Perez, whose City Pharmacy in Covington recently opened to considerable buzz, counts Richards as a mentor, as does the team that launched Ludacris’s Chicken + Beer. But Richards wanted to do more to preach the gospel of soul food. Empowering young chefs is one part of the solution. Enlightening the public on soul food more broadly is another. That’s what led to his cookbook. Richards sees Soul as a transformative text—a path to wider acceptance and appreciation for African heritage cuisines in the United States. 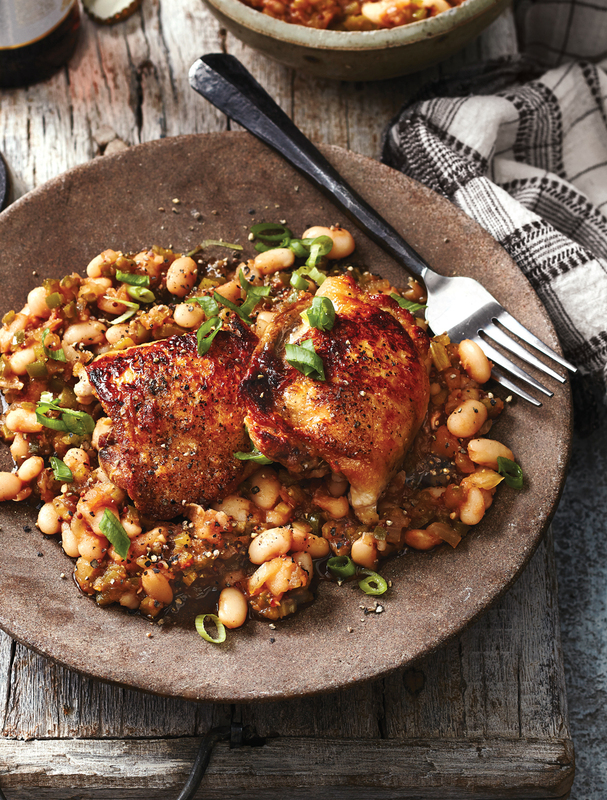 The book is organized into chapters based on humble ingredients, including collards, onions, corn, tomatoes, and beans and rice. Soul reframes soul food by highlighting the versatility of each ingredient, particularly its uses in global cuisines. Collard greens become the foundation for a ramen dish or for pesto. A crispy version of pork chitlins, which are typically stewed, shows up alongside stir-fried rice. The flavors of West Africa, Europe, Asia, and the Americas meld together for a 21st century Sunday supper or an elegant dinner party. Adrian Miller is a James Beard Award–winning author based in Denver, is a food writer, attorney, and certified barbecue judge who lives in Denver. Currently the executive director of the Colorado Council of Churches, Miller previously served as a special assistant to President Bill Clinton and a senior policy analyst for Colorado governor Bill Ritter Jr. Miller’s first book, Soul Food: The Surprising Story of an American Cuisine, One Plate at a Time, won a James Beard Foundation Award. His second book, The President’s Kitchen Cabinet: The Story of the African Americans Who Have Fed Our First Families, From the Washingtons to the Obamas, has been nominated for a 2018 NAACP Image Award.